Music, Movies, Games, Tech and Decluttering! Two of pop’s guiltiest pleasures, Madonna and Blue, have new albums out today. To celebrate, we’ve decided to reveal 7 pop guilty pleasures that literally everyone, from your mum to your best mate, enjoys. Warning: this post is littered with earworms. Play the videos at your own risk. In 1987, three songwriters – Stock, Aitken and Waterman – wrote a song so catchy that it threatened the very sanity of humankind. Somewhere, right now, someone has Never Gonna Give You Up stuck in their head. Rick Astley’s smooth tones stick in the head like chewing gum superglued to a piece of toffee, and the scary thing is we don’t mind in the slightest. 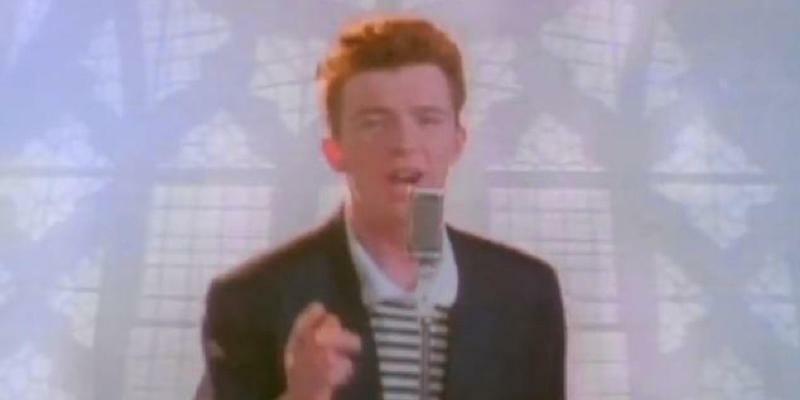 After topping the UK chart for 5 weeks in 1987, Never Gonna Give You Up was given a new lease of life in the 2000s by ‘rickrolling’, a phenomenon in which internet users are tricked into watching the song’s hilarious video. It is now our duty to ensure this pop classic is passed onto the next generation. VR Rickrolling, perhaps? 1 – It sounds like a Bond theme. We could imagine Daniel Craig taking out goons and whisking a beautiful woman off her feet while listening to it. Yes, James Bond could listen to Britney Spears and still look cool. 2 – The sweet post-chorus guitar section. In today’s world of processed beats and blips, its nice to hear a bit of blues. 3 – The video. The air hostess uniform. The plot twist. The bit with the snake. It’s iconic already. Don’t be ashamed to tell people you like this song; the chances are they’ll agree with you. Total Eclipse of the Heart is undoubtedly the most ridiculous song of all time. Starting with a haunting opening section about someone with bright eyes turning around, the song gets gradually more dramatic until Tyler is rasping melodramatically over (we think) cannon fire. Even Meatloaf would think its a bit ‘too much’. But you know what? We love it. Like Downton Abbey, it’s so over-the-top and silly that it breaks through the bad barrier and becomes undeniably brilliant. Gotta Get Thru This is the most inspirational song of all time. At the gym? Gotta Get Thru This. Taking part in an eating competition? Gotta Get Thru This. Fighting a bear with your bare hands? Gotta Get Thru This. Unfortunately, Bedingfield never hit the heights of Got 2 Get Thru This again. But it doesn’t matter; he’s already given the world a glorious gift. Kelly believes he can fly and, with just 5 short minutes and a gospel choir, he’ll make you believe too. Listen to it now and try not singing along. Go on, see what happens. …You sang, didn’t you? Not bad for a song from a movie about cartoons playing basketball. Easy Lover, In The Air Tonight, Another Day In Paradise…everyone loves at least one Phil song. Come on, admit it; we’re all friends here. If you’re having a clearout, why not sell CDs with musicMagpie? We’ll give you an instant price and collect your stuff for FREE too. Just click below to get started. Chris is a copywriter and editor of the musicMagpie Blog. View all post by Chris Smith. What is the best way to sell my phone? on Which bands and singers have released the most albums? on Which actor has starred in the most movies and TV shows? on Which video game has the most sequels?